Chalk it up to the Sandy Liang effect, but there’s a new dad trend in town, and I. am. excited. Now, along with my dad sneakers, dad necklace, dad jeans, and maybe even my dad hat—if I so please—I’ll most definitely be sporting a dad fleece this fall because, honestly, it’s cool. 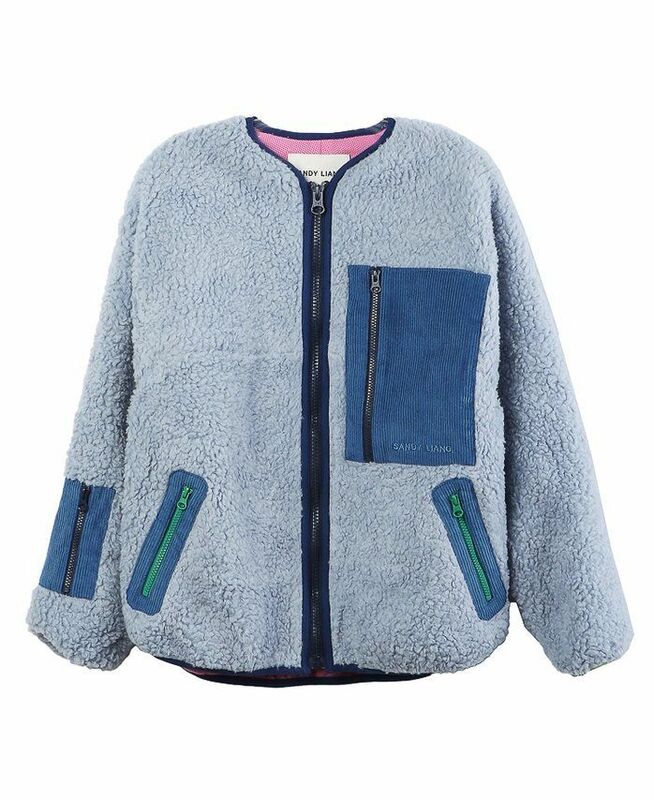 Aside from the aforementioned It designer’s endorsement, you can find the dad fleece (which also can be referred to as sherpa, pile, faux shearling, and a new word I learned while researching this story: borg) anywhere from Zara to Nordstrom, which means there aren’t just a range of styles to choose from, but price points too. To see (and shop) my favorites to buy now and wear on the regular throughout the season ahead, simply continue on below. Very into this whole look. The little heart really takes this to the next level. The ability to tuck it in is a game changer, if you ask me. The perfect balance of sweet and edgy. This thin zip-up is also ideal for layering under coats in the winter. You know it’s a trend when Zara is doing it. If you want to keep it old-school. Take advantage and style your fleece with a miniskirt while the weather still allows. You truly can’t beat Uniqlo’s prices and quality. For a little bit of a retro vibe, try this color combo, with burgundy and camel. Tackle two trends at once with this neon version. If color scares you, try this version that’s predominately white, with colorful accents. In true Proenza form, this little jacket is full of big details. Layers well over a hoodie. I’ll take the whole outfit. Sporty brands really get this trend right. Up next: 24 under-$100 items stylists want you to buy now.